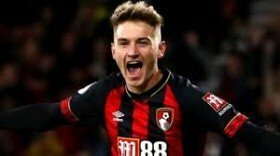 Brooks only joined Bournemouth from Championship side Sheffield United last summer but he has since been in impressive form with six goals and four assists in the top-flight. Amidst this, United have recently been fancied to make a summer approach for the right-sided attacker but The Mirror claims that they could face competition for Spurs. Mauricio Pochettino's side have failed to spend a single penny in the past two transfer windows but that should change at the season close with a number of players tipped to make way from the club. Victor Wanyama, Fernando Llorente and Toby Alderweireld are among the high-profile names linked with summer exits and this should tempt the hierarchy to re-enter the transfer market in five months' time. Spurs are currently without Dele Alli and Harry Kane with injuries until March but they have still remained impressive in the Premier League where they hold the third position with a nine-point gap over fifth-placed Manchester United.